From one of England’s best inland courses at Woodhall Spa to the fine links at Seacroft, golf in Lincolnshire has plenty to offer. When you think of golfing counties Lincolnshire may not be the first that comes to your mind but there’s more than enough good golf on offer – both coastal and inland – to make the county well worth considering for a golfing break. 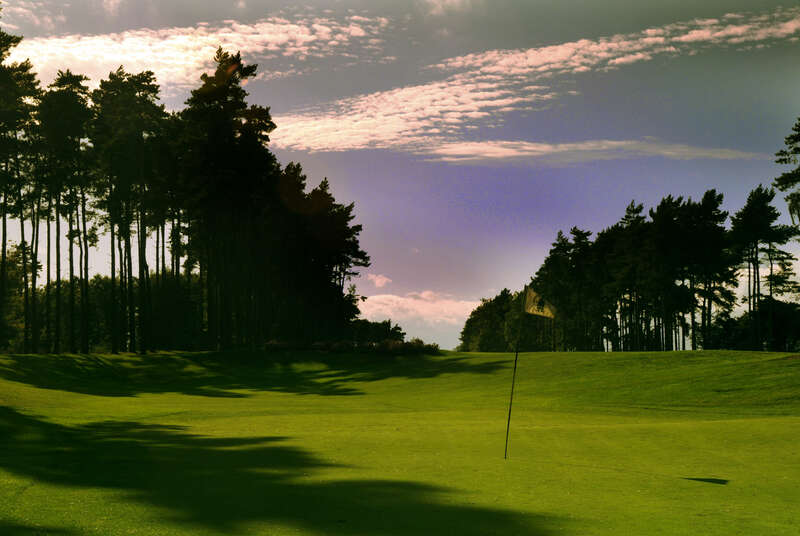 One of England’s finest, inland courses, Woodhall Spa lies within its borders along with heathland gems like Holme Hall and Market Rasen. Furthermore, links golf is also on offer at Seacroft and North Shore. 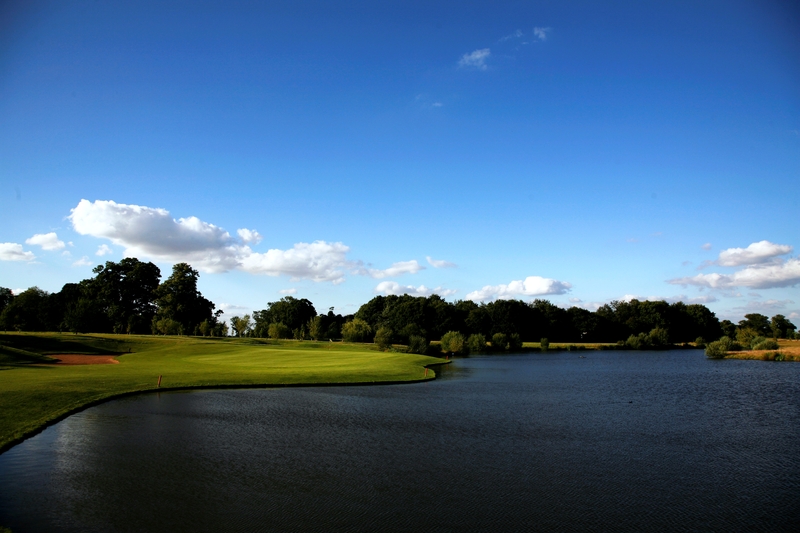 Whatever golfing fix you require, Lincolnshire can cater for it. This 100-year-old James Braid course is part links, part parkland. The opener is a relatively gentle par 5, but standing on the 4th tee – the first true links hole – you see but a sliver of fairway. The 5th along the beach is then a real brute, with a bank at driving distance all but ensuring a long approach to a perilously narrow target. The back nine then has a blind or semi-blind element to every hole from the 11th to the 17th. 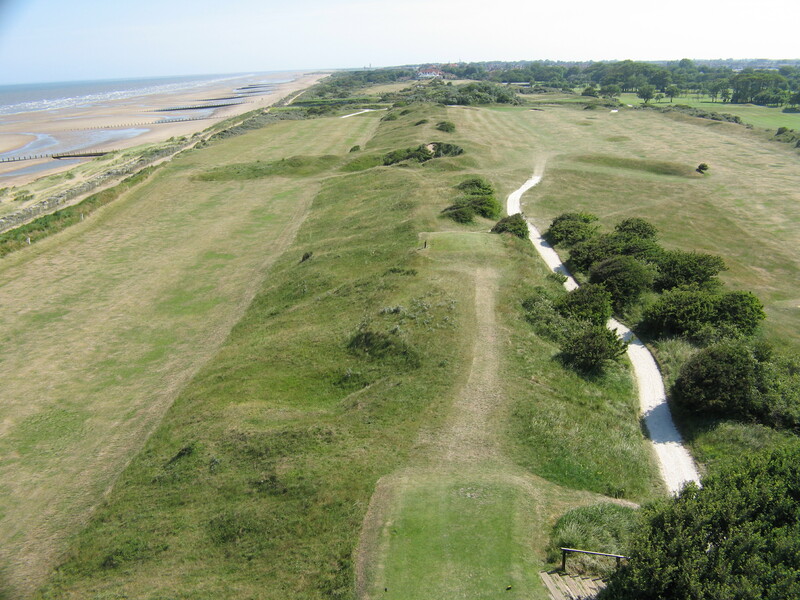 Lincolnshire’s finest seaside course plays over a slender strip of linksland south of Skegness. The opening holes flank the road down to Gibraltar Point Nature Reserve, with a large sycamore guarding the 1st green. Perhaps the toughest tests heading out are the 7th and 8th, with the latter teasing you into flirting with the road to set up the best angle in. On the way home, the par-5 13th is an interesting hole and it’s not immediately obvious where the green is. A quite splendid links course. My Hotchkin debut was played out in glorious sunshine and solitude, and I remember watching a team of sadistic greenkeepers strimming the banks of the bunkers on the excellent par-3 5th to ensure balls tumbled all the way in! There are so many good holes it’s almost impossible to single one out, but if pushed I’d go for the par-5 9th which sets up magnificently from the tee. The younger Bracken course starts off with water hazards aplenty, but takes on a more natural heathland feel from the 6th hole onwards. The newer sister layout to the 120-year-old Thonock Park course in the home town of Ping generally gives you room to open your shoulders – no bad thing as it’s not short. It plays over surprisingly elevated terrain, with enough mature trees to bely its youth. Water makes its presence felt often, perhaps most demandingly on the 6th where it pressures you into holding back off the tee. Best of all though is the 16th where a pretty little brook meanders its way all along the right up to the green. Comparisons with Woburn are inescapable, with the John Morgan creation comparing very favourably on both beauty and test fronts, but the overall feel is less claustrophobic than you might imagine. The 3rd on the Forest nine has shades of Augusta’s 13th, while the arrow-straight par-5 5th boasts a memorable sunken green. On the Pines you’ll need your wits about you on the strong stretch from the 5th to the end, with the highlight perhaps the par-5 8th with its exaggeratedly narrow drive and clustered greenside bunkering. The Beeches nine starts and finishes with strong par 3s, and over its opening quartet you also experience one dogleg either way and then an arrow-straight par 5 in the 4th. You then head out towards a large lake that you play directly over on the par-3 7th, before a real brute of a par 4. Not only do trees and sand make the drive fearsomely tight, but further sand then protects a green that’s worryingly shallow given the length of club likely to be in your hand. One of the joys of this job is that every so often you stumble across an unexpected treasure. Actually, I had been forewarned that this heathland course just outside the famous horse-racing town was a gem, and so it would prove, although the long par-4 opener almost certainly signals an instant dropped shot. There are several very pretty holes early on, and a glance at the scorecard fills you with hope, for six front-nine par 4s start with a ‘3’. But they must be treated with respect as you’re invariably in among trees and heather. Eventually you find more open terrain on the 9th, and after the excellent 10th, you head out in a trio of fine new holes that opened in 2001. When you rejoin the original holes, the 15th is a magnificent sprawling par 5, where working out where to lay up is no pushover. 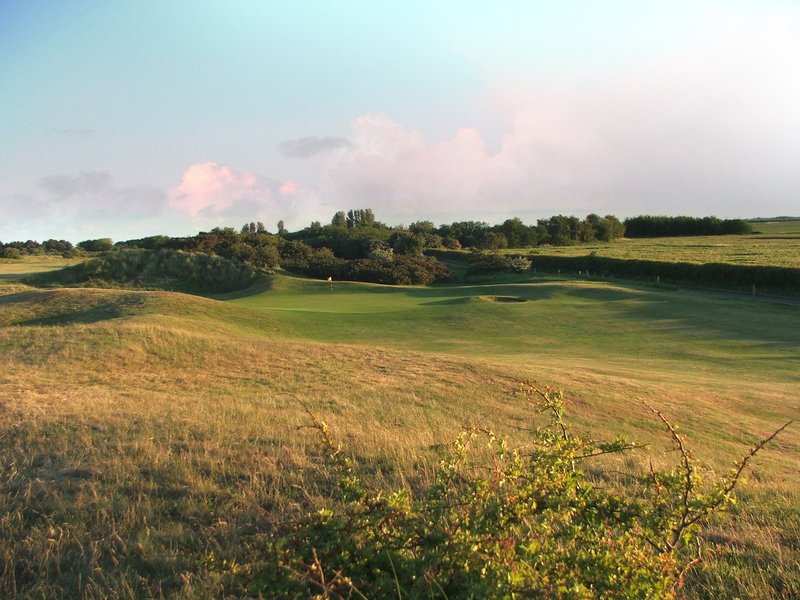 Louth is a golfing child of the ‘60s, playing mostly on a ridge with fine views over the Lincolnshire Wolds. The holes are a mix of fun, challenge and opportunity, with the 2nd sweeping down towards the prominent spire of St John’s Church. The 5th boasts a well-protected, narrow green entrance, while the 8th is a majestic long par 4. The 9th is a par 3 playing directly over a tall tree. The final par 3 at 17 plays to a blind bowl where you’ll hopefully see your well-struck mid-iron feed its way towards the flag. Another heathland course very close to Forest Pines, Holme Hall is where a young Tony Jacklin honed his game. It starts with a generous par 5 and, a couple of holes later, a potentially drivable par 4 if you can avoid the sand short of and around the green. The 4th is a fiddly par 3 across water to a long, narrow green, while the 10th, where you tee off near the clubhouse, is a longer one-shotter with an awkward ridge angling across the green. Despite the complete absence of any golf game, I somehow conjured up a birdie here and then eagled the 11th, a par 5 where there’s little to stop you opening your shoulders. The course finishes strongly, with the back nine blessed with a slightly more away-from-it-all feel as the final five loop back around the perimeters. Spalding Golf Club came into existence in 1926 after a renaming process, but the course those original members played on is non existent today because the land was used for grazing animals and the Second World War cut down the available land. Then, the club in 1950 bought the land the course currently sits on. Interestingly, the course is pretty much surrounded by the River Glen which comes into play on several of the holes. This parkland course will test your accuracy in more ways than one, however there are plenty of scoring opportunities provided you keep the ball in play.